I include a pdf of a cache only version of the list without photographs -which a quick search could not find- but with all the names and details; nothing to be afraid of right? It’s a sixty two year ‘ethical’ tradition after all, you’re just following orders, all that? 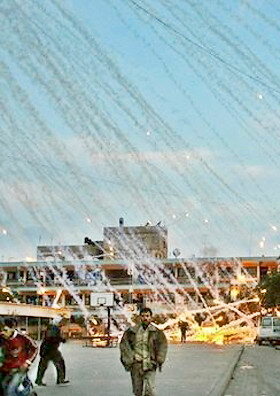 Or that other tack; they poured white phosphorous on themselves and you [or BBC’s Panorama] can prove it! Hamas did it! etc. See The National’s report here. Oliver Miles lays out some detail about what the law change would mean in The G. here, making precisely the wrong deduction; that it’s good to talk ‘peace’ with people like Tsipi Livni. No! this is the whole point. She should be afraid to travel anywhere lest justice catches up with her. Talk ‘peace’ by all means through bars or in court. She’s already committed herself freely in blood and bombs. She is the daughter of ethnic cleansers and a war criminal herself. At least she is, incontrovertibly, if collective punishment, disproportionate force, use of human shields, use of indiscriminate bombardment in civilian areas, use of white phosphorus at all and/or in school buildings are recognisable as International crimes. I believe they are; as such her guilt is contained in her own bragging before and during her leadership. 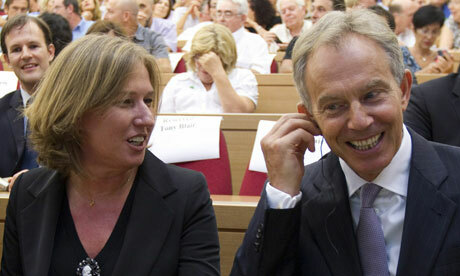 If Livni regains power, a natural sequence of events in the state of Israel, it should make no difference. The least emotive example I can -far too politely- use is that Slobodan Milosevic was President … Sharon/ Barak/ Peres [Mr Silent Settlements]/ Netanyahu/ Olmert were/are all elected officials [Lieberman is right now!] and presided over genocidal regimes committing crimes against humanity and war crimes year after year, or at the very least deserve a fair trial on those charges in preference to natural justice; a bullet in the head [given that they will live out their lives in the sun -even if it is a vegetable patch- without ever having to so much as acknowledge their crimes; a matter of overwhelmingly clear historical record].